This 176-acre park features several athletic facilities and a diverse natural area. 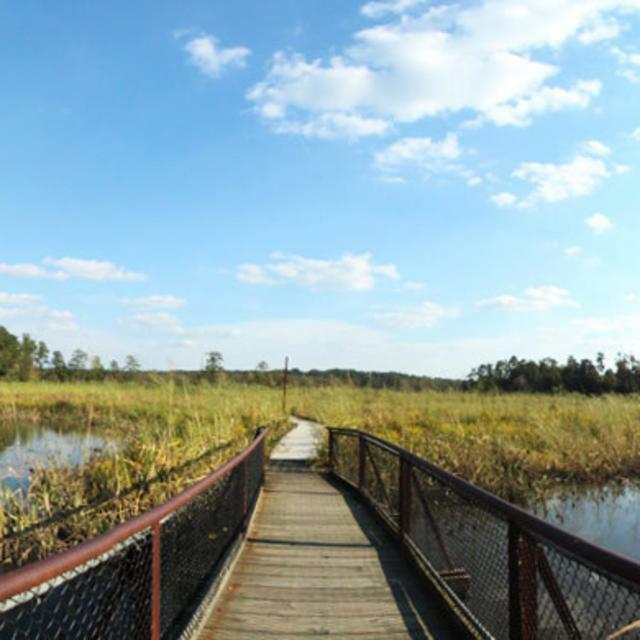 Athletic and picnic areas are concentrated in the upper areas of the park, and access to the lower areas is provided by a system of trails including a floating boardwalk through a freshwater tidal marsh. This area also has historical significance, as the land was the southern end of the Union position during the Bermuda Hundred Campaign. Remnants of Union earthworks can be seen along the park road and trails.